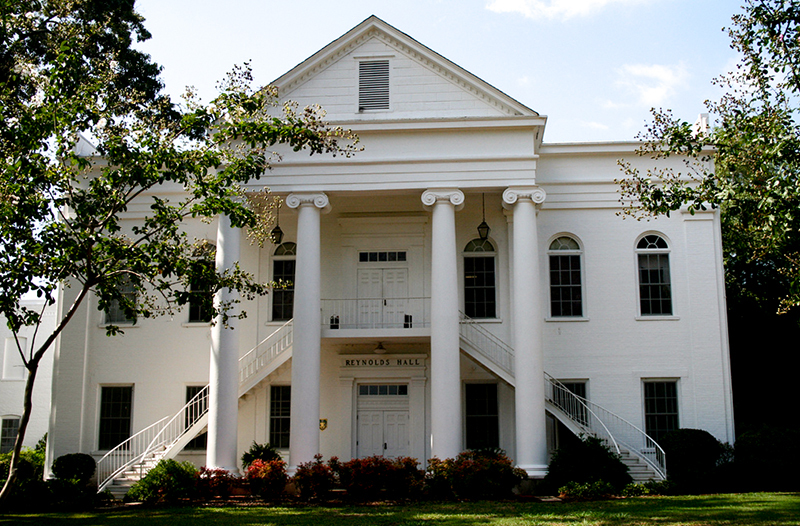 The neoclassical Reynolds Hall, built in 1851, was initially constructed to house the Montevallo Male Institute. It is now home to the offices for the communications program and the alumni and development offices. It is also the site of the Reynolds Theater performance space.